Cook quinoa according to directions on bag, or boil 1 cup water and add quinoa on stove. Cover and simmer 12 minutes, stirring occasionally. Cool 20 minutes. Preheat oven 425*. 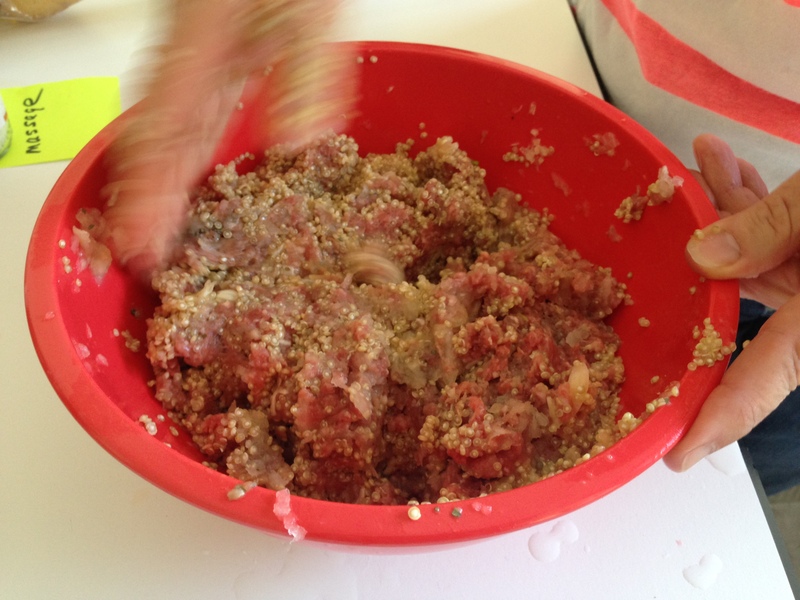 Mix beef, quinoa, garlic, egg, onion, oregano, salt, basil, and pepper with hands in large bowl, evenly coating all surfaces. 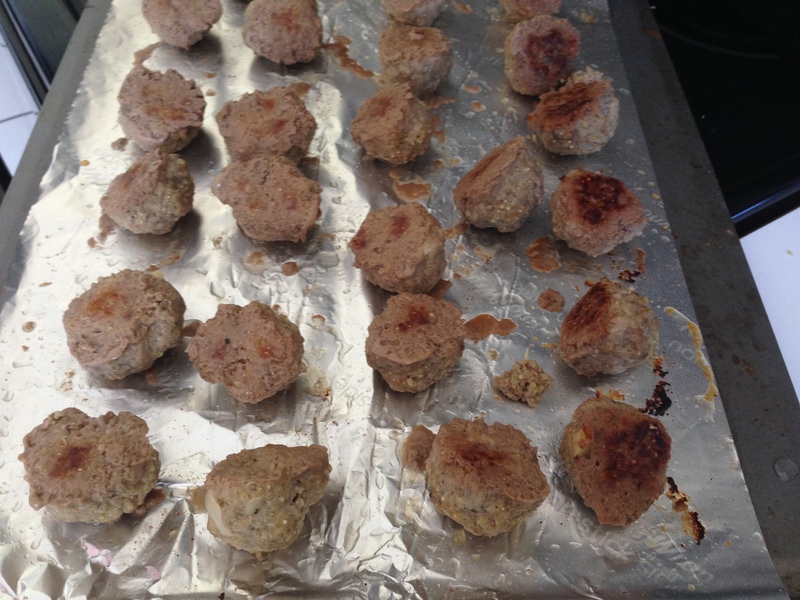 Roll into 1 1/2 inch balls, and place on baking sheet with foil. Bake 15-20 minutes or until brown, rotating sheet halfway through. 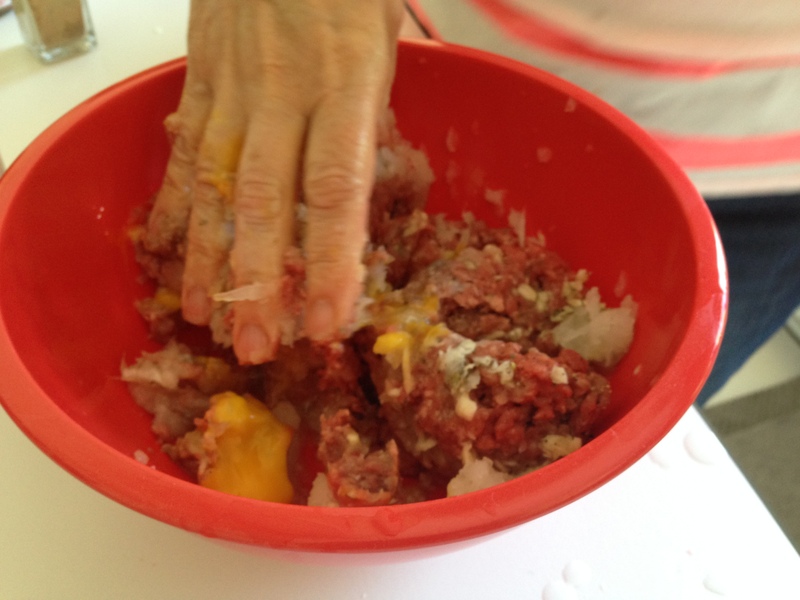 I also recommend flipping the meatballs over halfway through, as sometimes they get fairly brown on the bottom. 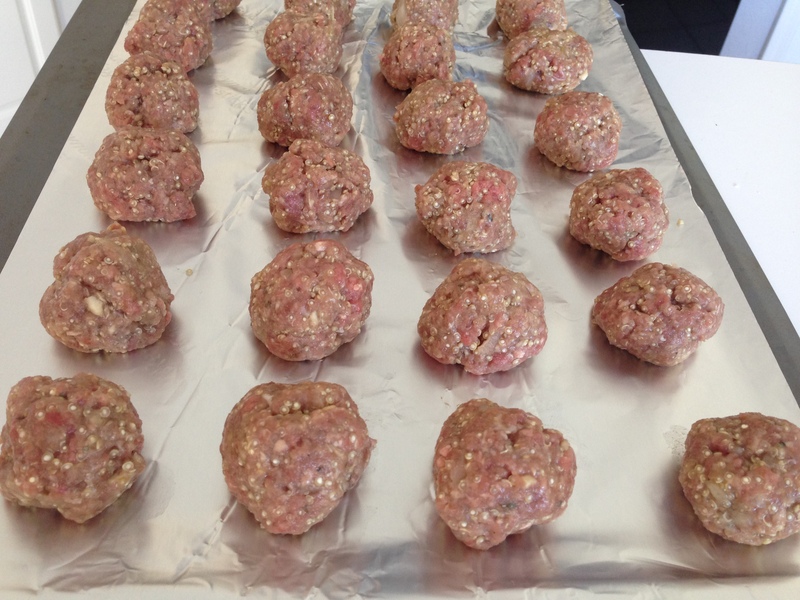 Yields approximately two dozen meatballs. 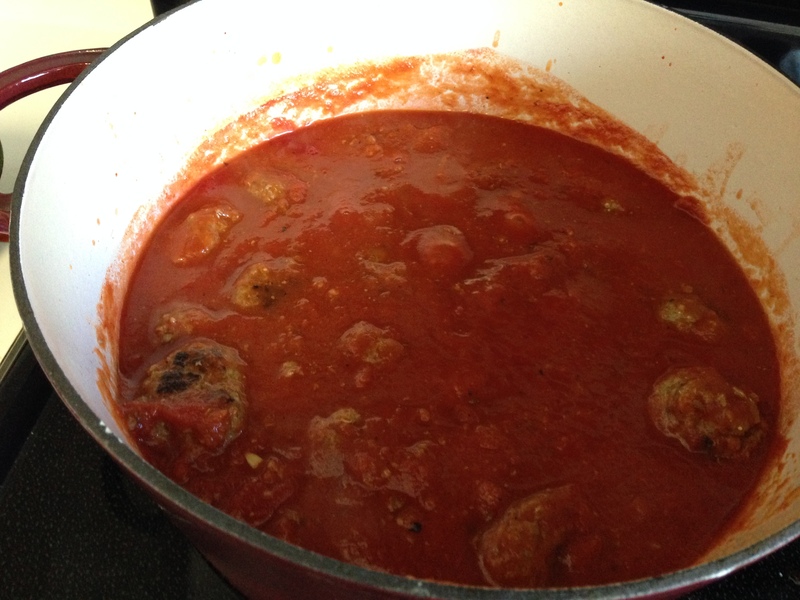 Drop meatballs into warmed sauce on stove at a low simmer for 20-30 minutes, stirring occasionally. Serve with pasta, meatball subs, or plain as an appetizer. This meal makes an especially great dish for potlucks and parties! You can throw them in a crockpot and bring them to a potluck – easy. Adapted to be dairy free and sugar free from the Bertolli website.